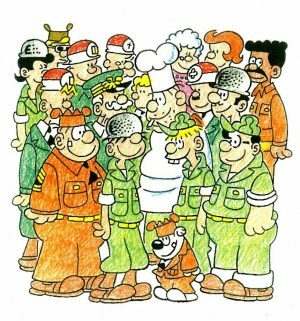 Iconic Creator Of Beetle Bailey Comic Strip Mort Walker Passes Away At 94! RIP. Mort Walker, the creator of “Beetle Bailey,” a comic strip about an Army private who malingered his way through seven decades at Camp Swampy to the consternation of his commanding officers and the delight of his fans in the armed forces and beyond, died on Saturday at his home in Stamford, Conn. He was 94. His death was confirmed by his son Brian. 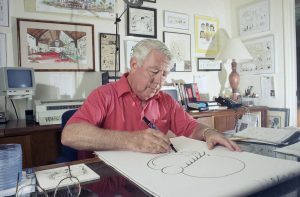 Mr. Walker had the longest tenure of any cartoonist on an original creation, King Features, which began its syndication of “Beetle Bailey” in 1950, said in a statement. “Little did I know when I was drafted that I was going to get almost four years of free research,” Mr. Walker recalled in his collection “The Best of Beetle Bailey” (1984). Mr. Walker began drawing as a youngster and after his college years sold cartoons to The Saturday Evening Post about a lanky student at Rockview University named Spider, hat pulled over his eyes, who figured out how to get his roommate to do all his work. In 1950, amid the Korean War, Spider morphed into Beetle Bailey in an Army uniform. Mr. Walker’s comic strip substituted barracks buddies for dorm mates, sergeants and generals for professors, and the military bureaucracy for academic pronouncements. 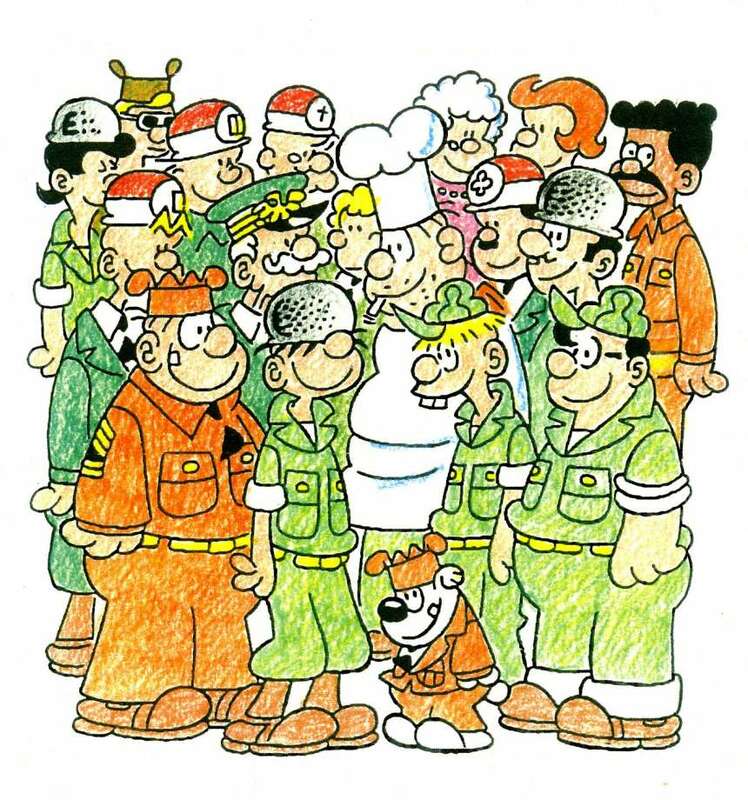 In the first sketches showing Beetle Bailey in uniform, this time with an Army cap covering his eyes, he took an aptitude test and asked what his specialty would be. “Not engineering. … Not cooking. … Not driving. …” the Army tester told him. And so it went through the Korean War, the Vietnam War and wars in Iraq and Afghanistan, even though “Beetle Bailey” seldom became topical. The main character’s war was with the Army itself, and though he was never promoted beyond private, he bested the likes of the tough but ultimately endearing Sarge (officially Orville P. Snorkel) and the bumbling Camp Swampy commander, Gen. Amos T. Halftrack. The newspaper Stars and Stripes, published for members of the armed forces, banned “Beetle Bailey” from its Tokyo edition in 1954, evidently a result of the military’s concern that discipline would lag after the end of the Korean War and that the comic strip might inspire disrespect for officers. The ban, reported in the press with no small degree of ridicule and continuing for about a decade, as Mr. Walker recalled it, served only to boost the comic strip’s profile, and it was eventually syndicated in some 1,800 newspapers around the world. On behalf of the Inside Pulse and Comics Nexus teams, we offer our condolences to the family, friends and fans of Mort Walker.